We are working to identify and prioritise those tasks likely to improve the quality of evidence used at the bedside and make for better healthcare. The BMJ and the Centre for Evidence-Based Medicine have collaborated on Evidence Live, since 2010. One of the central themes that have emerged throughout has been the substantial problems that exist with the quality of the evidence, the potential solutions that have been tried and their subsequent impact on practising EBM on the ground. We are therefore working to carry out the manifesto commitments – with your help. At the 2017 conference, we did a workshop where we said we would identify, take forward and implement solutions for better evidence in respective fields. This workshop, attended by over 200 participants, facilitated the generation of a jobs list and identified potential solutions across different stakeholder groups. We also solicited ideas through a form posted on the Evidence Live site. Overall, we got 140 unique responses. Turns out to be the largest focus group I’ve participated in; the number of responses means it’s taking me some time to analyse the themes. The focus group work identified sixteen different stakeholder groups that could undertake tasks related to the EBM Manifesto. The most referred to groups were journal editors, funders, academic researchers, clinicians, patients – the ones you’d expect. But there were also some you might not: Research Excellence Framework in the UK Equator network, medical writing companies, ethics committees, head of the foundation program for training, guideline developers, professional bodies, those who set the curriculum for health professionals and academic institutions. You could refer to these as the EBM Manifesto ecosystem that we want to target. What should we do next? I’d be interested in your thoughts. Should we appoint a couple of people to be theme leads for each stakeholder group journal eds, funders etc., and then seek input to prioritise the tasks at hand, mobilise forces and set to work. We should be able to prioritise those tasks that are likely to improve quality of evidence used at the bedside and make for better healthcare. I look forward to the ongoing conversation at Evidence Live 2018 where we will present the jobs list for the EBM manifesto ecosystem. 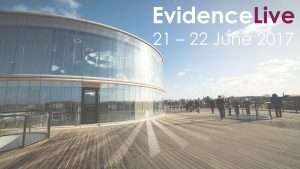 If you want to join the mandate to prioritise and carry out the solutions to the deluge of poor quality evidence then why not join us at Evidence Live 2018? ► Expand the role of patients, health Professionals and policy makers in research. ►Increase the systematic use of existing evidence. ►Make research evidence relevant, replicable and accessible to end users. ►Reduce questionable research practices, bias and conflicts of interests. ►Ensure drug and device regulation is robust, transparent and independent. ►Produce better usable clinical guidelines. 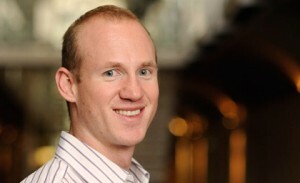 ►Support innovation, quality improvement and safety through the better use of real-world data. ►Educate professionals, policy makers and the public in evidence-based healthcare to make an informed choice. Heneghan C, Mahtani KR, Goldacre B, Godlee F, MacDonald M, Jarvies D Evidence-based medicine manifesto for better healthcare. BMJ 2017;357:j2973. Carl has received expenses and fees for his media work. He holds grant funding from the NIHR, the NIHR School of Primary Care Research, The Wellcome Trust and the WHO. CEBM jointly runs the EvidenceLive Conference with the BMJ and the Overdiagnosis Conference with international partners which are both based on a non-profit model.